As most of you know we are currently in the process of completely rebuilding our whisky database. This is why there are no new monthly price udpates at the moment. The work is doing good progress and we hereby want to give you a quick update. The new database will hold price observations from the three major online auctioneers ScotchWhiskyAuctions.com, WhiskyAuctioneer.com (new!) and WhiskyAuction.com. We already finished preparing the price observations of two of these three auctioneers and are currently in the process of doing so for the third. Considering the amount of data left as well as the time it took to prepare the already processed data we expect this work to be done at the end of August. So sadly the once announced release date of end of July will not hold. But it is worth the wait. The new database will not only show increased data quantity and quality but also serves as the technical foundation needed for future functionalities and extensions. The poker card series from Hanyu is the embodiment of the japanese whisky boom which we witnessed over the last two years. Prices went berserk and made this series one of the most exclusive and most expensive whisky experiences money can buy. Summertime flies by as the latest round of auctions took place. It seems like the overall price level took a short break from its steady rise. While the Yamazaki index soared up, price observations for Port Ellen bear some surprises. 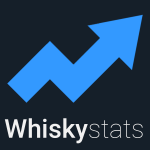 This topic contains 0 replies, has 1 voice, and was last updated by Whiskystats 9 months ago.